Strong demand from the road-sports fraternity for this rocker set but at lower cost prompted me to make this set available. It comprises just the rocker arms and essential posts from the full CST3007 kit, allowing the use of existing adjuster screws, lock nuts and shaft from the standard assembly. 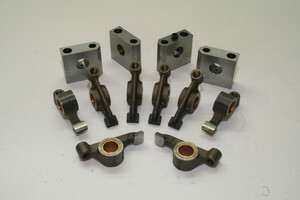 Obviously a new rocker shaft is advised, but you can select which and whose you want to use.